Zaza Namoradze is the Director of Open Society’s Justice Initiative Budapest Office. He oversees activities on legal aid and defendants’ rights, and legal empowerment and capacity. Namoradze previously served as staff attorney and, later, Deputy Director of the Open Society Institute’s Constitutional and Legal Policy Institute, where he designed and managed projects in constitutional and judicial reforms, student law clinics, and human rights litigation capacity building in Central and Eastern Europe and Central Asia. 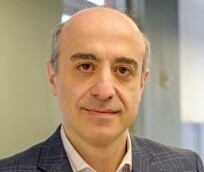 Namoradze has worked for the Center for the Study of Constitutionalism in Eastern Europe, the Central Electoral Commission of Georgia, and was a member of the State Constitutional Commission of Georgia. Namoradze graduated from Law Faculty of Tbilisi State University, studied in the comparative constitutionalism program of the Central European University, and earned an LL.M. from the University of Chicago Law.